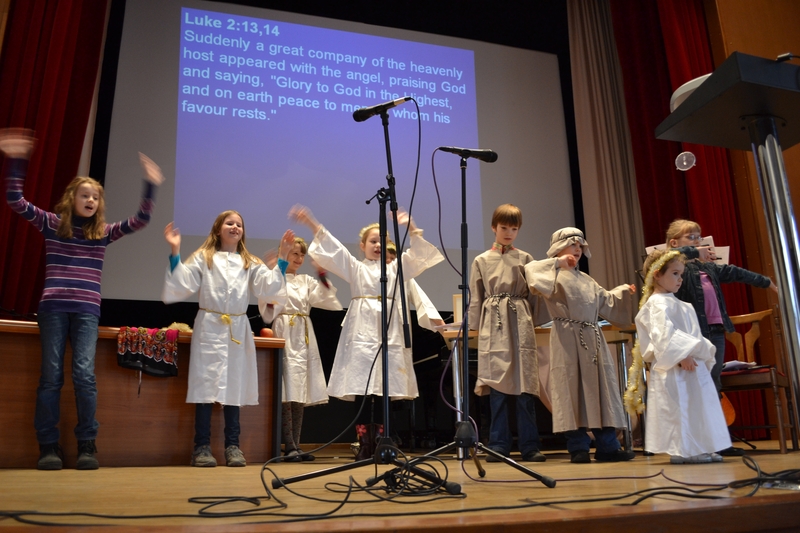 Yesterday we were blessed with the children’s Christmas program. Elizabeth Morozov led our children in presenting a very clear, interesting, and enjoyable play. Thank you Elizabeth for your creativity and service through our children’s program. Frances Courson and Lynn Jacobsen assisted in helping with this over the past few weeks – thank you for your part in this also! As part of our worship service, we also voted for Ivor Tutty to serve as an Elder. Ivor, his wife Gudrun, and their children have been serving in Russia since 1999. We are grateful for Ivor stepping into this additional ministry role through our church. We also voted to accept Russell and Sarah Thomas to serve as a Deacon couple. Russell has been serving in Russia for several years and is currently serving as Chaplain for the Hinkson Christian Academy. His wife, Sarah, was raised for a major part of her childhood here in Russia as a child of missionary parents and then later returned to Russia to teach at Hinkson. We are thankful for their willingness to serve through the Deacon ministry of our church. We finished the day off with a Candlelight service. We had a good number of people in attendance and enjoyed an afternoon of singing Christmas Carols and reading through portions of scripture related to the birth of Christ. We had a great time of food and fellowship afterwards. Join us for worship over the next two Sundays as we continue to celebrate the birth of our Lord and Savior, Jesus Christ!